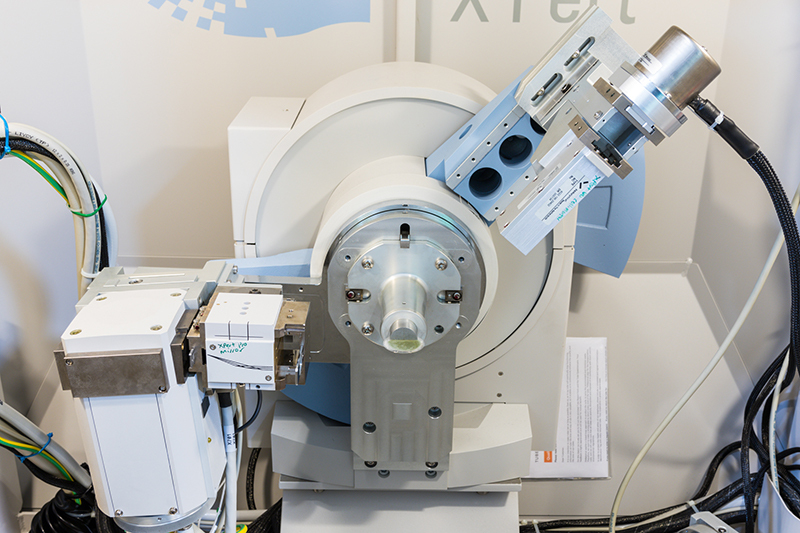 X‐ray Diffraction (XRD) analysis is applicable only to crystalline materials and is most often used to determine the identity of phases or compounds in a sample. Most samples are powders, but the XRDs in the EMX are also able to analyse solid samples and thin films (glancing incidence). 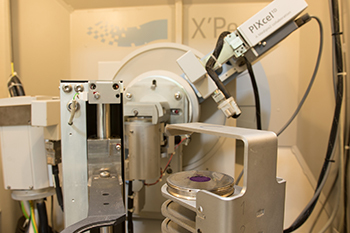 XRD is also useful in determining texture and stress in a material and can be used to help determine unit cell parameters and to solve unknown crystal structures. One of the EMX XRDs has a heating stage that allows analysis of phase changes occurring at various temperatures (up to 1600°C) and under vacuum, air or inert gas conditions. 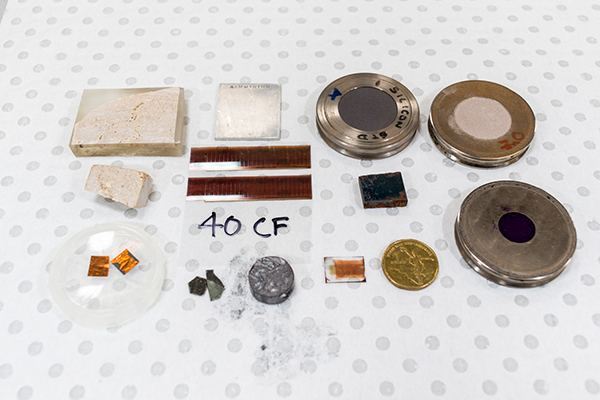 Samples can be in the form of powders, solids or deposits on films or slides. ‘Normal’ powder samples require approximately the same volume as a two dollar coin and the powder should be as fine as flour. Solids may be up to 10 x 10 x 10cm and weigh up to 1 kg. There must be a flat surface for analysis. ALL users of XRD equipment must complete an X‐ray safety course run by the university X‐Ray Safety Advisor before commencing work with the XRD instruments. The test at the end of the course must be passed and the certificate provided to EMX unit staff.